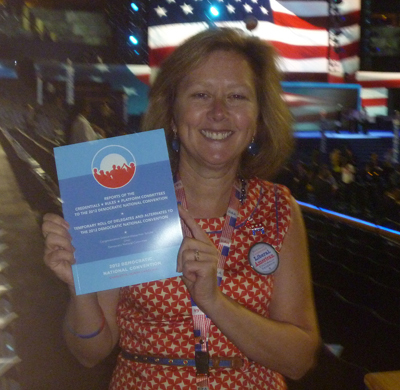 Stephanie Stewart, a delegate from Democrats Abroad, holds a booklet containing the 2012 Democratic Party Platform. As a policy document, one could get lost in the weeds about NATO, North Korea and loose nukes, but the wonky bits in the 2012 Democratic National Platform don’t start until halfway through the forty page document. 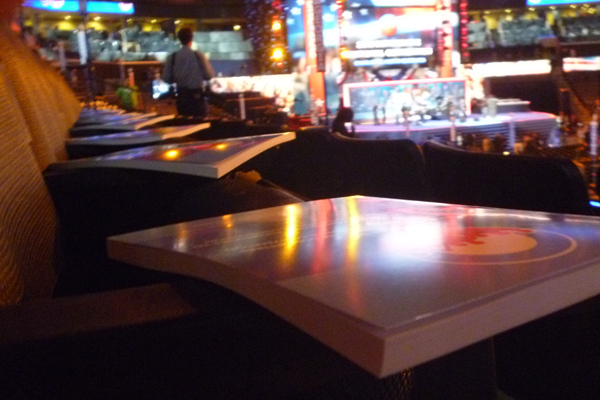 The first twenty pages of the platform, which the party will approve at their convention in Charlotte, Tuesday night, is all about one thing – growing the middle class. “This has to be our North Star – an economy that’s built not from the top down, but from a growing middle class, and that provides ladders of opportunity for those working hard to join the middle class. Reading the platform, the Democrats seem to be saying, will lead you to one conclusion: even if you’re not better off than you were four yeas ago, the Republicans aren’t going to help you. Romney does not oppose common sense reforms to immigration and does not support tax increases on lower or middle income Americans. Where did you get that blatantly incorrect information?